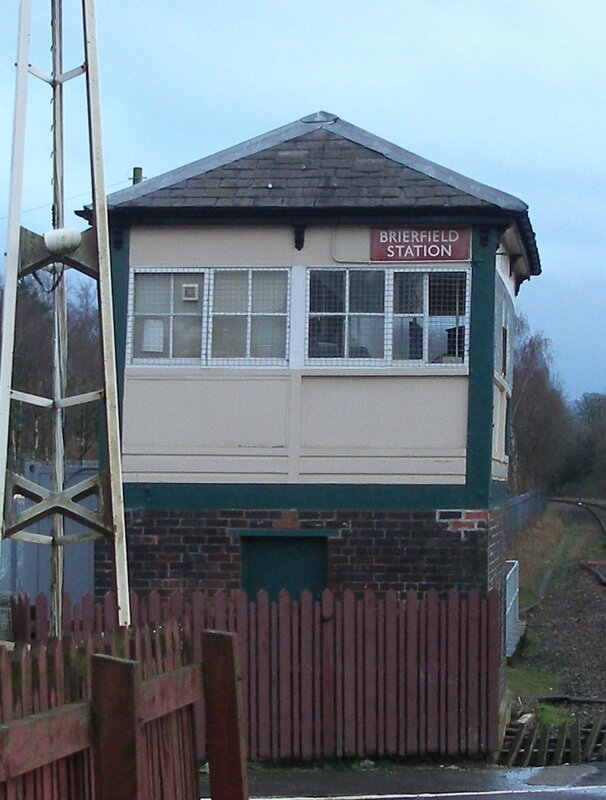 Originally slated for closure on the weekend of 28 May 2014, Brierfield Box was switched out for last time at 23:43 on 14 September 2014. 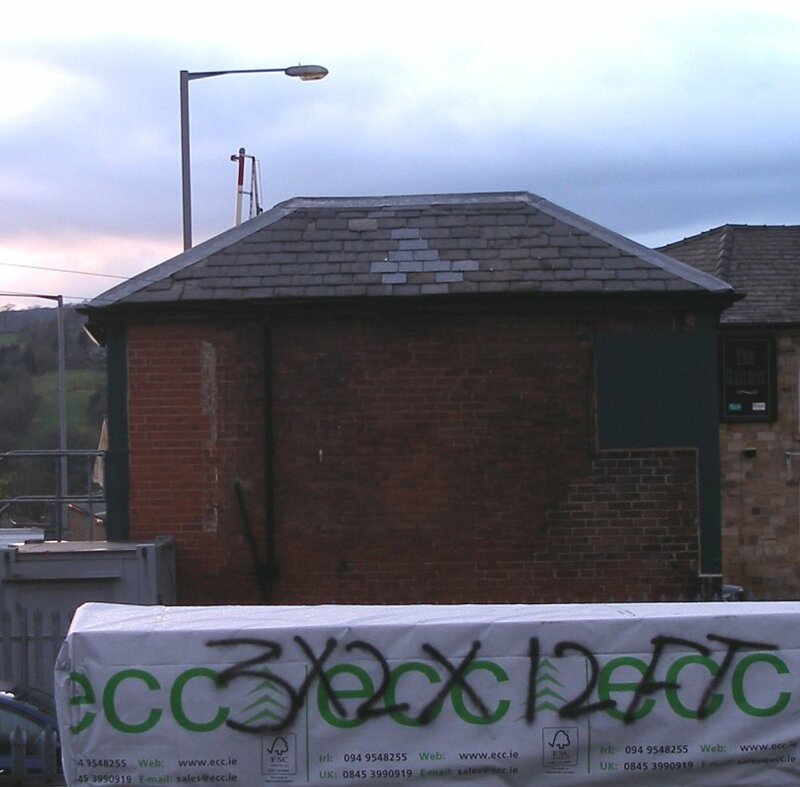 The local council are reported to have opposed the demolition on heritage grounds. 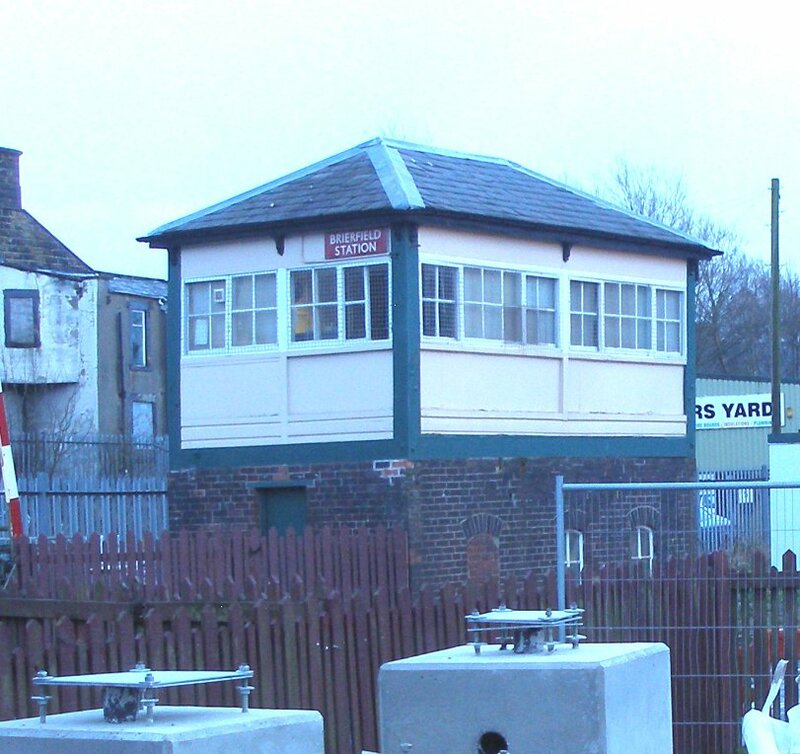 There are also items in the local press on the net suggesting there is a campaign to block it, although the commissioning on the new unmanned level crossing was thought to still be going ahead. If delayed, the next slot in the infrastructure timetable could be October. 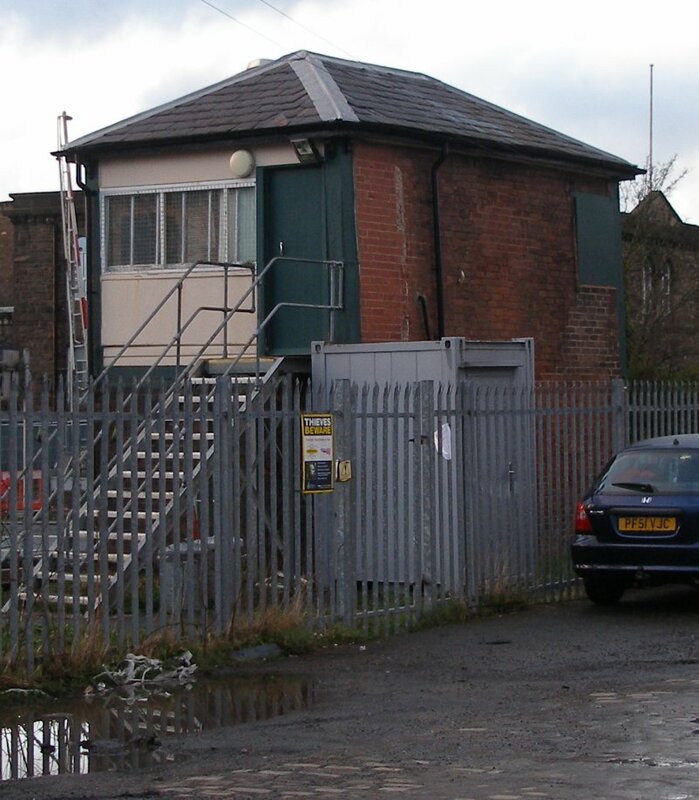 The Huncoat box closure is now certainly November 2014. With Brierfield put back, the two might well be done at the same time. This field survey was carried out on Saturday 22 March 2014. 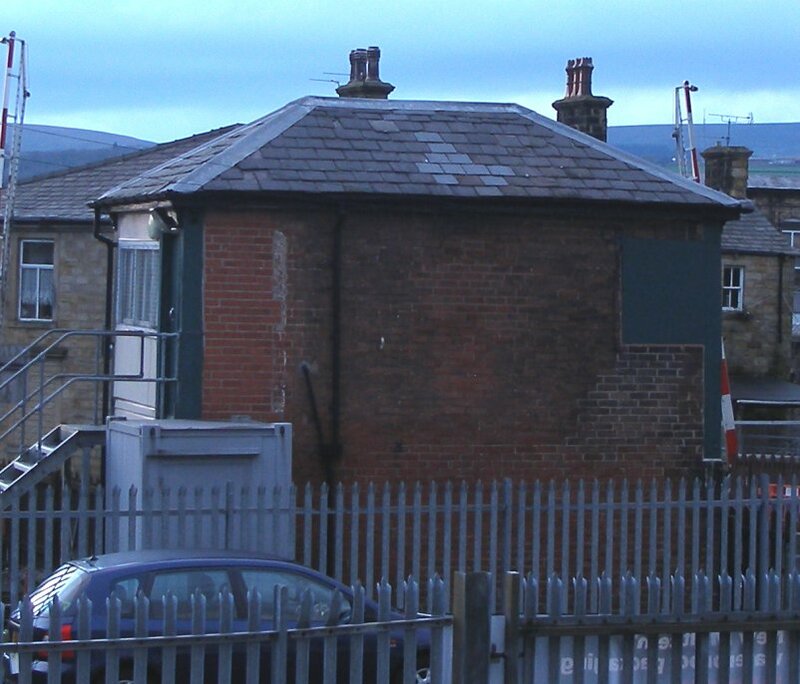 Click here to see Huncoat Level Crossing box, and here for Brierfield Station footbridge. 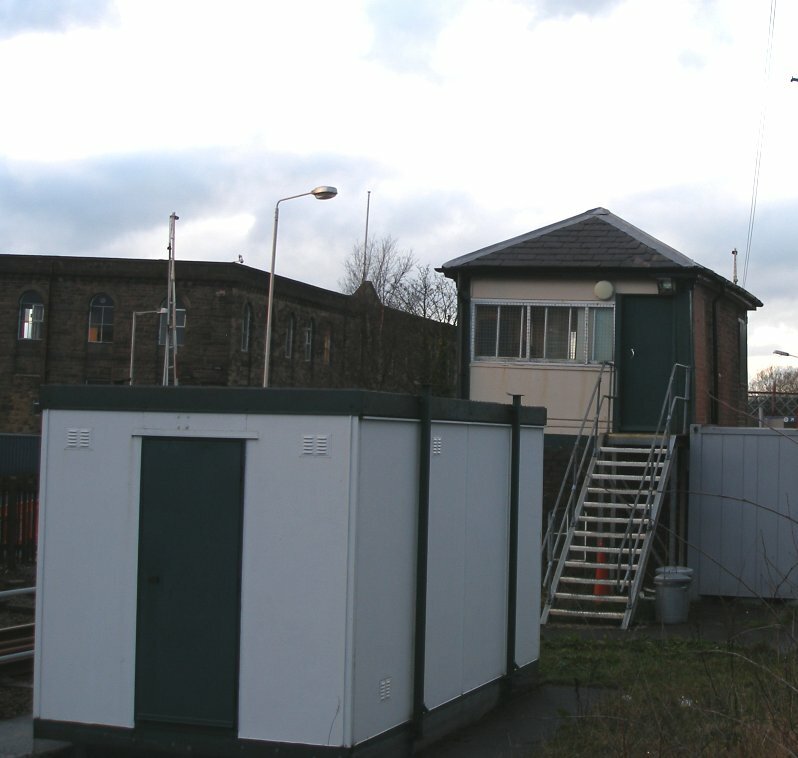 Brierfield Box southern profile with equipment cabinet filling the foreground. 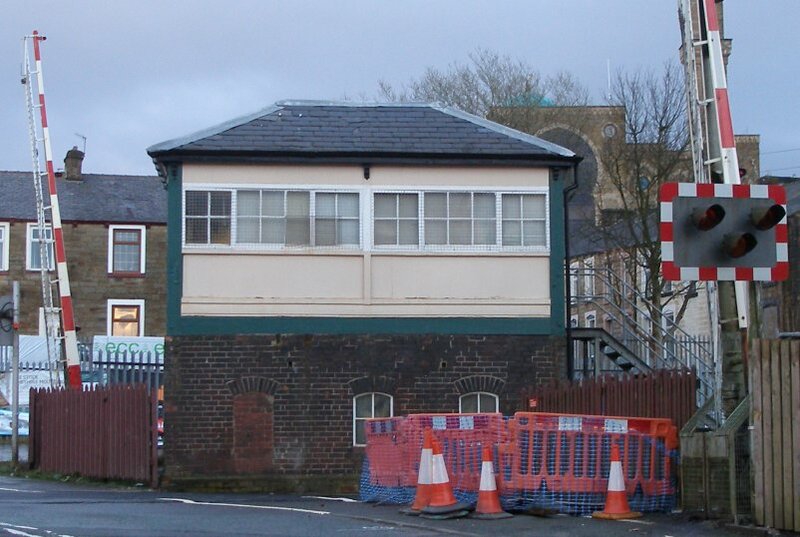 Brierfield Box showing metal staircase. 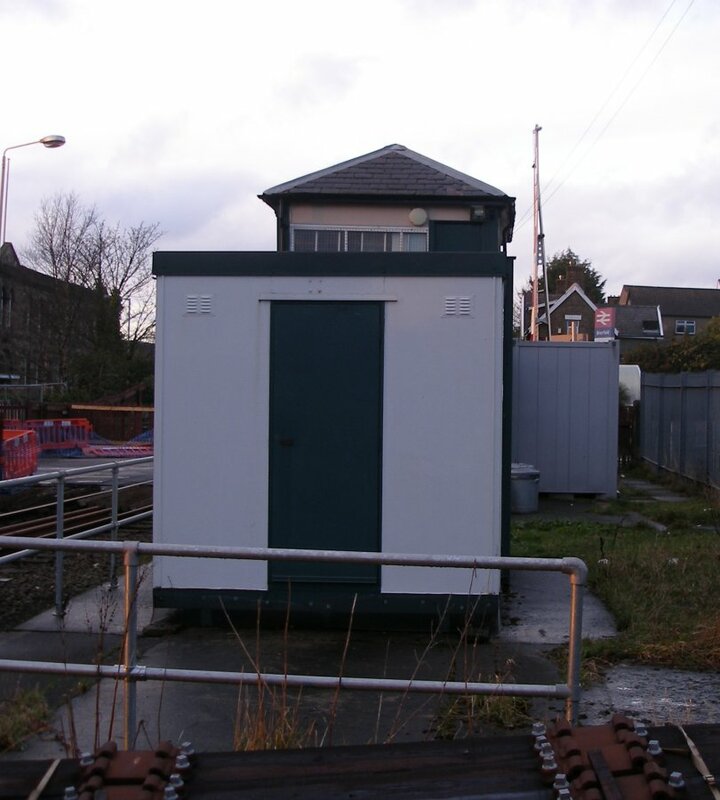 Three quarters rear view of Brierfield Box - note different coloured brick work on the left hand side of the rear wall where the wooden lavatory was cantilevered out from the main structure. 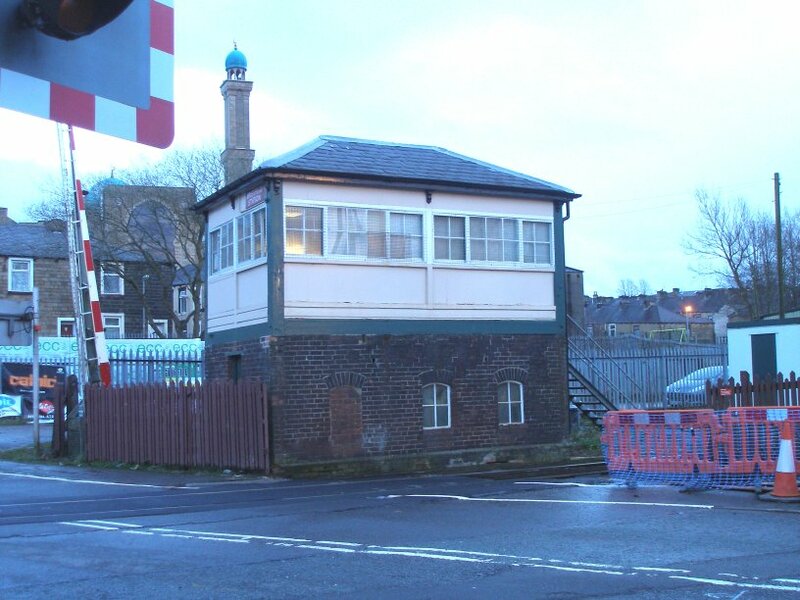 Brierfield Box northern elevation - note BR enamelled name board.